We are not our thoughts, we are not our mind. What if with a change of thought we could change our emotions. What if right now, we consciously decided to drop our worry and choose another thought to replace it with. Just here on a deep out breath we let go of our pain, and just then on a deep in breath we pick a thought that will make us smile.And let’s do this for a few minutes, in and out. Letting go of thinking that we don’t like, choosing our own thoughts instead. We are already feeling better. And there, right here, between the two breaths, between the two thoughts: nothingness. The pure beauty of silence. Happiness is a feeling, an experience in the Now. It isn’t something that we’ll get one day when we reach a certain condition in our life (job, relationship), or when we finally get our dream objects (car, house). Happiness isn’t dependent upon outside circumstances even though our mind is trying to tell us that it is. 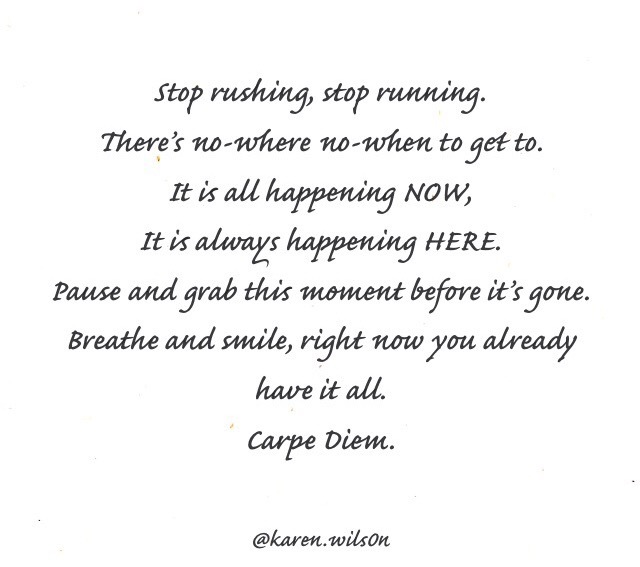 It is always there, in the moment, in the Now for us to tap into. Right Now, right Here Happiness is waiting.